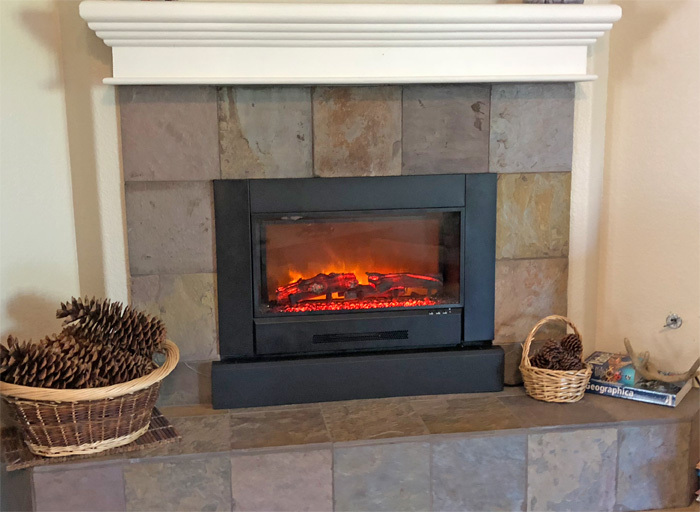 As an efficient alternative to the old wood burning fireplace in this Auburn CA. 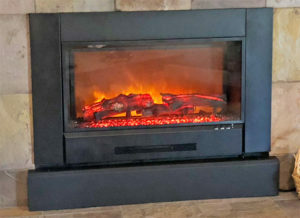 home, the ZCR Series fireplace insert comes with remote controlled variable flame and electric heater. In addition to the 5 stage flame settings, the hand painted Juniper logset gives this fireplace insert a realistic flame appearance.